Over the next two weeks, athletes from around the world will compete in the Winter Olympics in PyeongChang, South Korea. 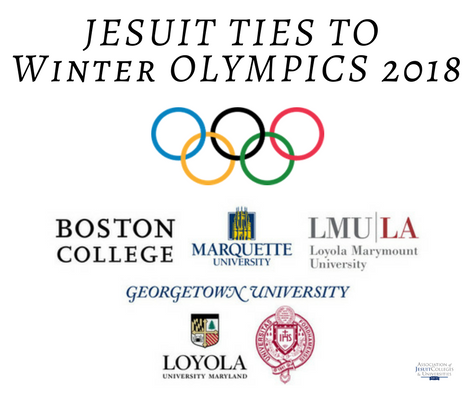 Several have ties to Jesuit colleges and universities: from students to alumni, Jesuit-educated athletes and support staff will be found on the ice, behind the camera, and available for commentary! Boston College's hockey program is known for being among the best in collegiate sports and this year, six of its current and former players will be competing for Team USA. On the women's side, Cayla Barnes '22, Kali Flanagan '19, Megan Keller '19, Emily Pfalzer '15 and Haley Skarupa '16 will play on the U.S. hockey team, while on the men's side, Brian Gionta '01 will play and serve as team captain. Visit bc.edu to learn more. 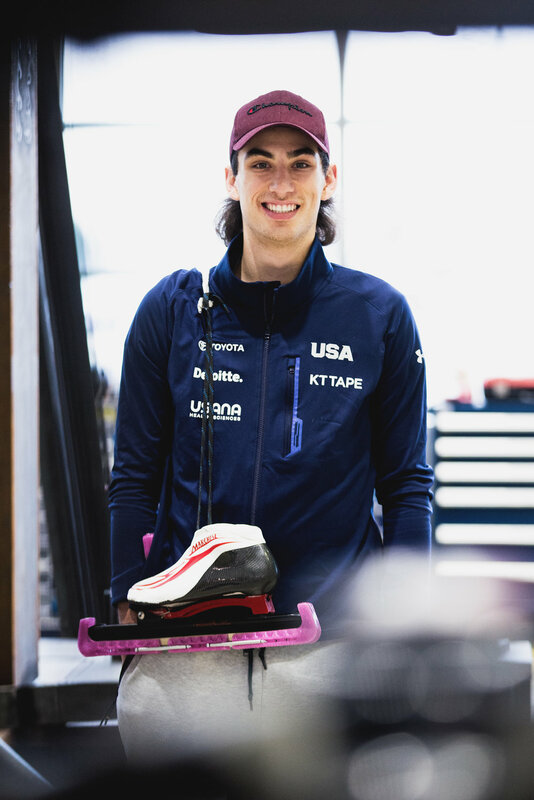 A current Marquette University student, Emery Lehman '20, was selected to compete in his second Olympics on the U.S. speed skating team. Off the ice, Lehman is majoring in Civil Engineering at Marquette, and recently spoke about his experience training for the Olympics with Milwaukee's ABC news affiliate. Fordham University student Nicole Rajic '18 is competing for Slovakia in women's figure skating (Rajic's parents are natives of Slovakia). She recently shared her experiences in a new video interview for Fordham's website. And in men's figure skating, U.S. Olympian Adam Rippon has ties to the University of Scranton: his father is an alumnus and his sister is a current student studying business administration. Among the members of the U.S. men's bobsled team is Georgetown University alumnus, Christopher Kinney '11. A former track and field star for the Hoyas, Kinney began training for the bobsled team after graduating from Georgetown; learn more in this new video interview. 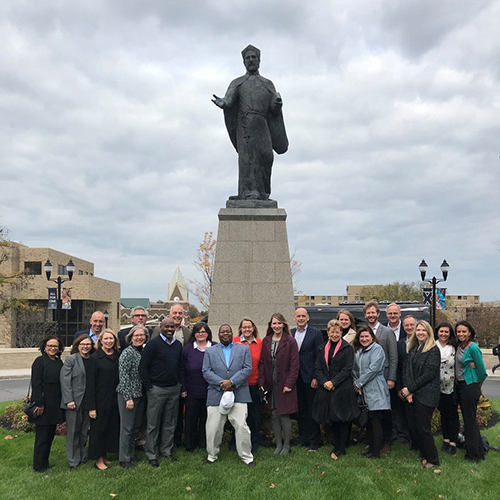 Georgetown also has a number of faculty experts available to discuss topics ranging from marketing of the Olympics to sports medicine to sports diplomacy. 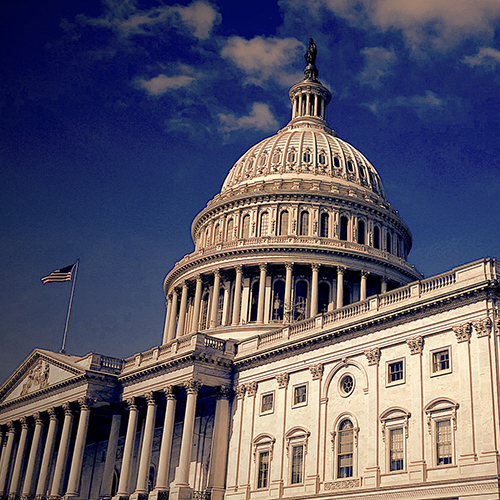 Visit georgetown.edu for a full list. On the West Coast, faculty experts at Loyola Marymount University are available to discuss South Korean politics, international sports communication, advertising and much more. Visit lmu.edu for a full list. And in the Midwest, Loyola University Chicago has compiled a list of faculty experts available to speak on topics including sports business and marketing, coaching and abuse, and human trafficking during sporting events. Visit luc.edu to learn more. Loyola's online magazine also features an Olympic-related story: learn about alumna Kori Ade '97, who coaches Jason Brown, a figure skater who represented the men's U.S. team in the 2014 Olympics and is serving as an alternate for the men's team in PyeongChang. A Saint Louis University (SLU) professor recently shared her story of representing Taiwan in women's figure skating at the 1988 Winter Olympics in Calgary, Canada. Pauline Lee, Ph.D. later graduated from Stanford, earned a doctorate in religious studies, and joined the faculty at SLU, where she has taught Chinese religions and cultures since 2013. Visit slu.edu to learn more. While earning his MBA from the University of San Francisco, Alexander Hwang ’12 began a Korean catering company, Kiss My Seoul, that now caters to tech companies in the San Francisco Bay Area. The company's success led him to a unique position of catering to thousands of sports and media staff at the International Broadcast Center during the Winter Olympics; click here to learn more about Hwang's experiences in PyeongChang. A recent graduate of Loyola University Maryland is on location in PyeongChang to serve as a production assistant for NBC Sports. Bob Trosset '17 works for the Washington, D.C. NBC affiliate and will help contribute toward the network's coverage of the events; visit magazine.loyola.edu to learn more and see photos from his first days in South Korea. Seattle University alumnus Nick McCarvel '08 is on the scene in PyeongChang; he is serving as a digital reporter for NBC. Follow him on Twitter @NickMcCarvel for daily updates including photos and videos. In addition, Drew Casey (a graduate of both Saint Peter's Prep and Fordham University) is serving as a producer for Westwood One Sports at the Olympics; follow him on Twitter @Drew__Casey. Boston College graduate Charlotte Zoller '10 is also on-hand through her role with NBC Olympics. Finally, a two-time Jesuit-educated graduate of both Boston College and Fordham University is serving as director of Olympics sales marketing at NBC Universal. Sarah Greenwood shared her experience and discussed preparation for the PyeongChang Olympics with students at Fordham last fall; visit fordham.edu to learn more. Please note: We hope we did not miss anyone, but if we did, please contact AJCU’s director of communications, Deanna Howes Spiro: dhowes@ajcunet.edu. For more information on the Jesuit mission of athletic programs, visit ajcunet.edu/connections.